The Pigs are out to Play and LEARN LEARN LEARN! To the pig pen for some FUN! 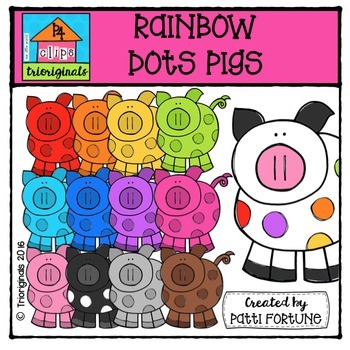 This set includes dot pigs in red, orange, yellow, turquoise, blue, green, purple, pink, light pink, black, gray, brown and rainbow.